Guess who has been caught making stuff up?! 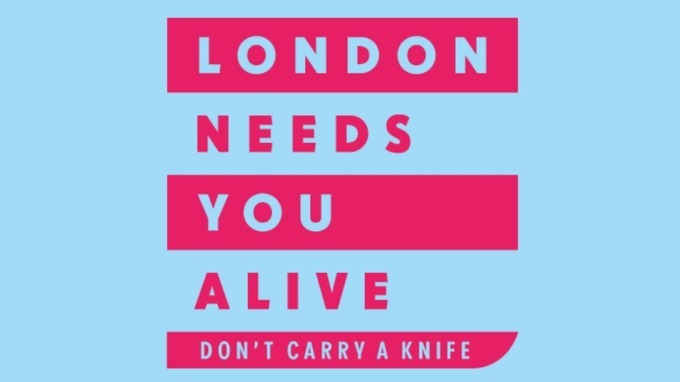 To much fanfare Mayor Sadiq Khan Speaking in December launched the campaign to ensure people were not carrying knives across London. Mr Khan told City Hall the campaign backed by celebrity "influencers" who "have a large following from our young people who are most likely to be affected by knife crime". However it has since transpired that they had little or no real celebrity support and instead produced fake tweets supporting the campaign from famous actors such as John Boyega, who recently appeared in Star Wars: The Last Jedi as Finn along with musicians Lethal Bizzle and Jessie J. After it was revealed the celebrities had not been consulted about the campaign, the material was removed. The fake tweets were reportedly created by an advertising agency and were used throughout the campaign. One tweet that had Boyega's Twitter account, mentioned his recent role in the sci-fi blockbuster, stating: "The force needs me alive, so I don't carry a knife. Share why #LondonNeedsYouAlive #LNYA" Another, attributed to @LethalBizzle, said: "Grime needs me alive, so I don't carry a knife. Share why #LondonNeedsYouAlive #LNYA"
The tweets looked as though they had been retweeted and liked by thousands of people. Boyega's spokesperson Femi Oguns said: "That is not John's tweet. He only tweets from his own account which is verified by the official tick. All others are fake accounts. Neither of us were aware of this campaign." A spokesman for the Mayor Khan responded: "This was an honest mistake. "Images created by AMV during their pitch for the account were published on the GLA's website in error rather than the final approved campaign images. They have been taken down and will not be used again." UK Unity Opinion- Mayor Khan certainly does not appear to be doing a very good job of combating knife crime, acid attacks or terrorism in his own back yard and the fact that he is now resorting to making up celebrity endorsements leaves him looking increasingly as one of the most despised politicians in the UK! Read: "New "ethnic" language set to replace English in the UK!" Read: "Crazy Irish Ryanair boss Michael O Leary threatens the UK over Brexit!"